When it comes to trying new things, there are only two types of approach and that is to play safe or to gamble. 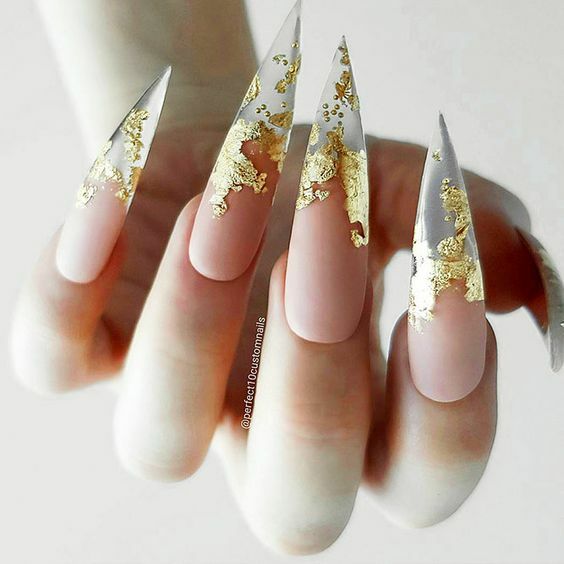 To people who are used to playing safe, they decide on things they already know or at least have knowledge about it. 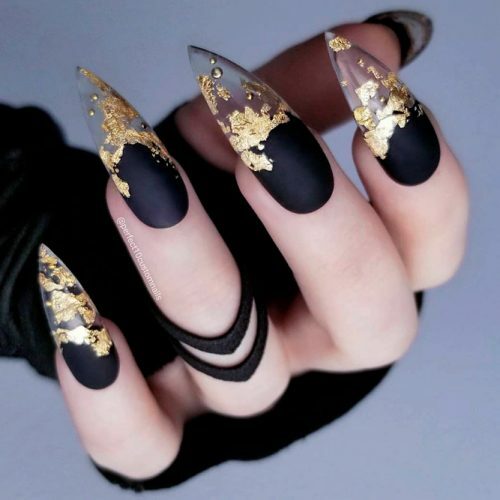 However, for those who love surprises and going all-in, chances are they decide on radical takes on trivial matters not knowing what they will get in the end. 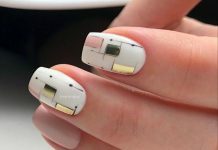 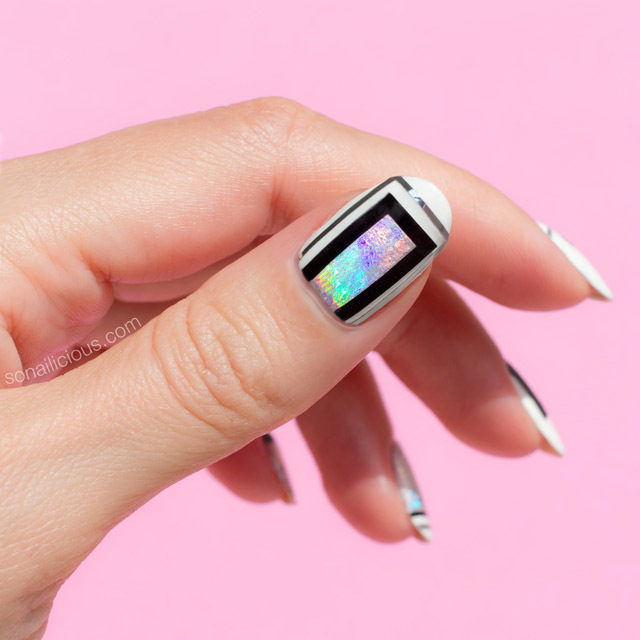 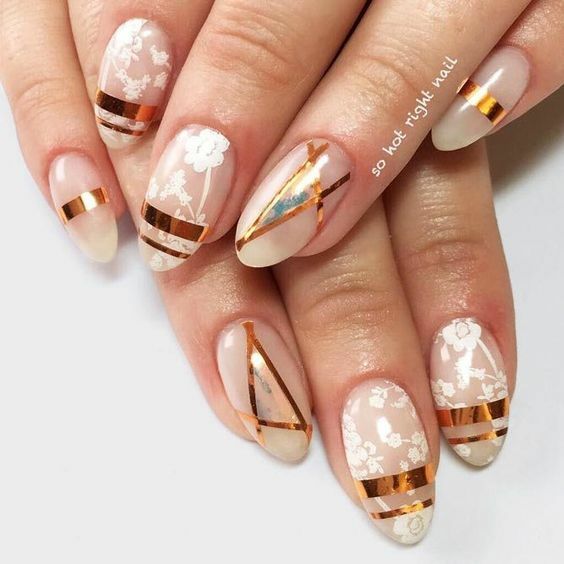 Today’s nail art design is definitely not for the safe players because even while writing this post, I still really don’t have a clear grasp as to how this radical technique is being done. 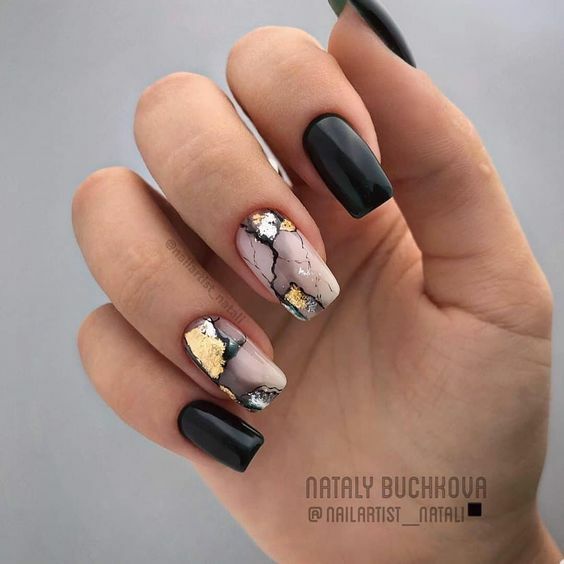 What I do know is that this amazing nail art starts simple, if they stop just there, it will already be a decent polish on nails. 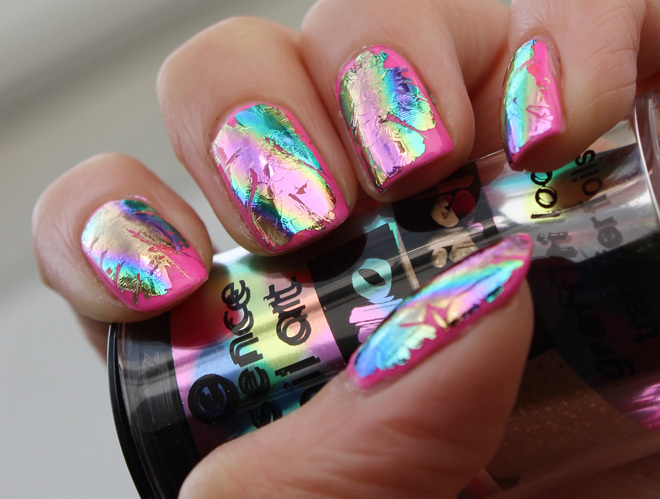 After the base coating comes the exciting part, putting a colorful accent using a foil. 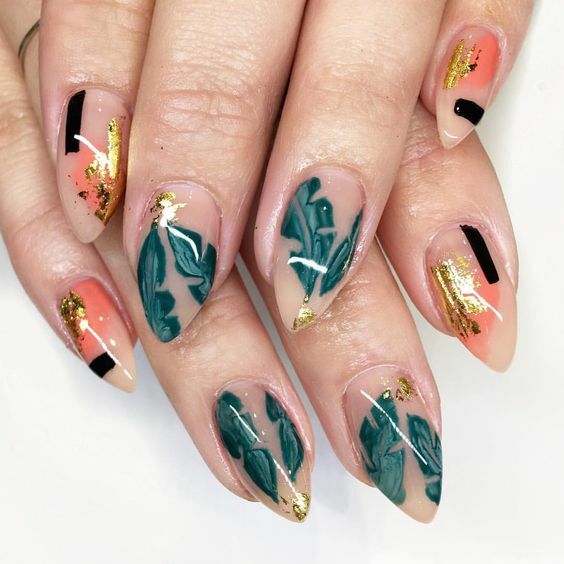 The foil material is probably specifically designed for nail art since the colors on its surface, once pressed unto the nail, transfers like magic. 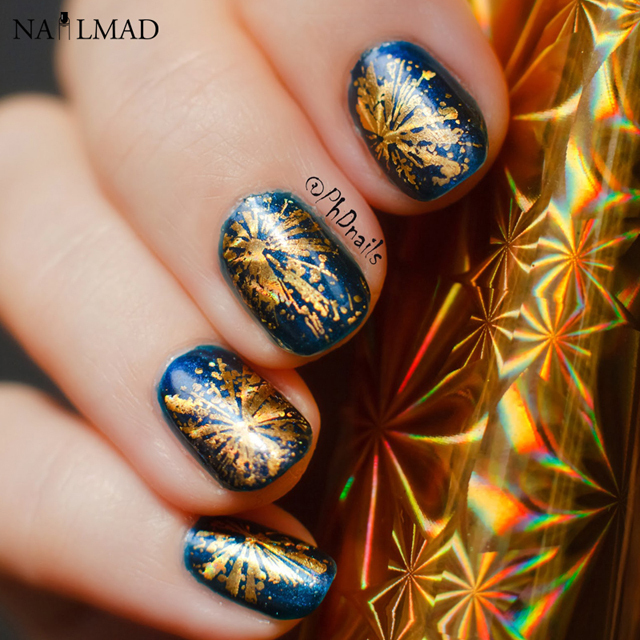 It is like applying an artificial tattoo to the nails, adding a shiny modern art layer. 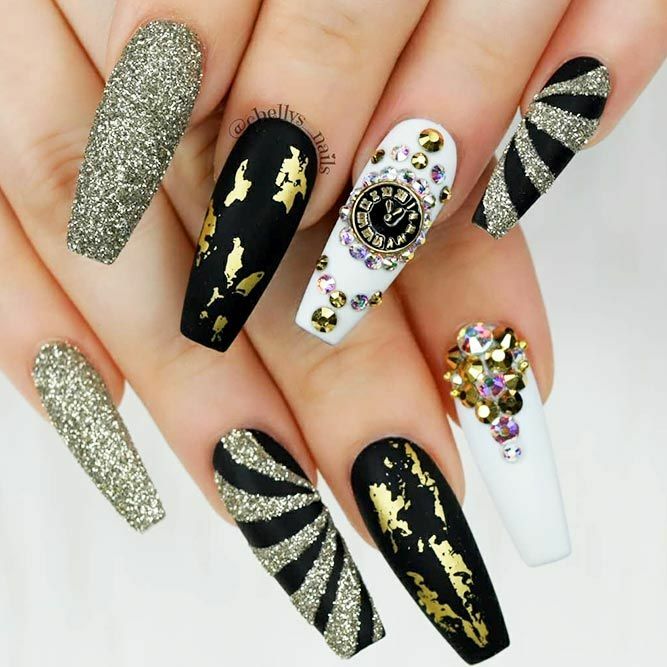 A colorless coating is applied after the foil designs are transferred thereby protecting the designs from outside damages and making sure that the designs last long. 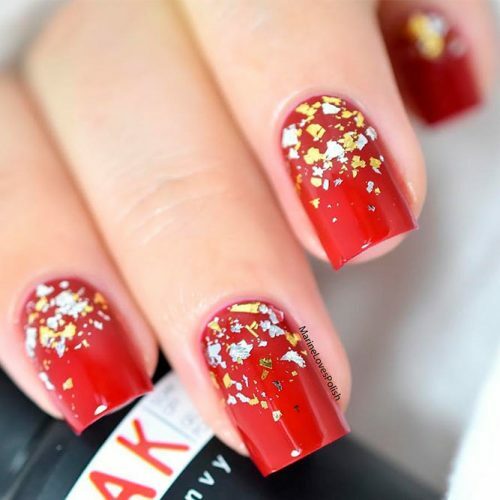 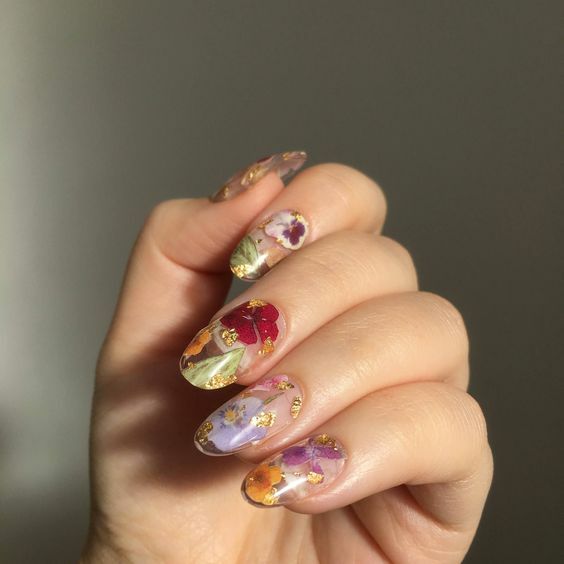 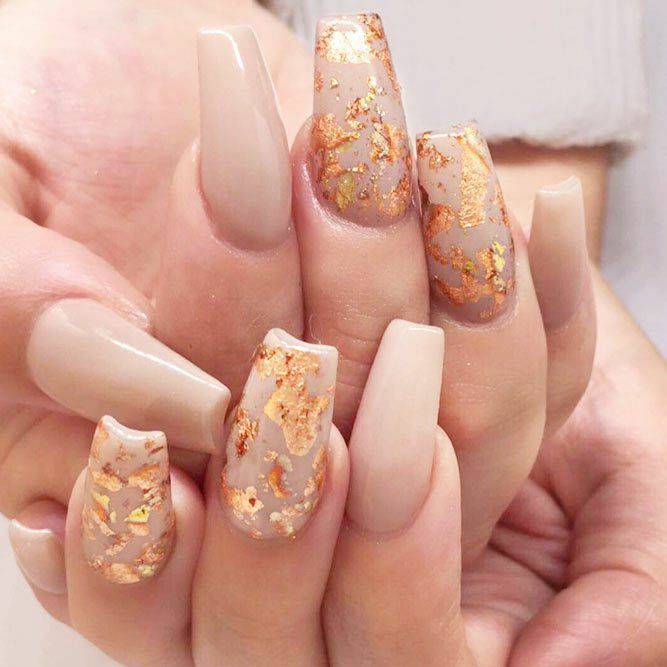 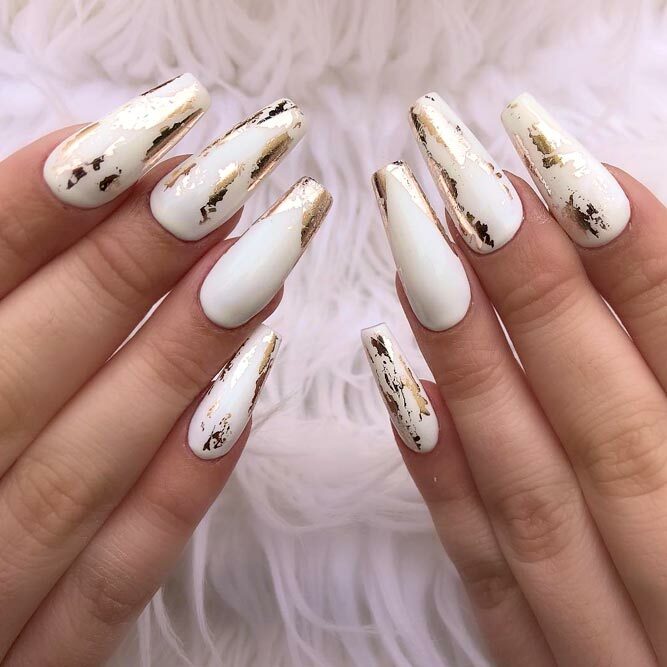 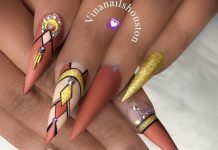 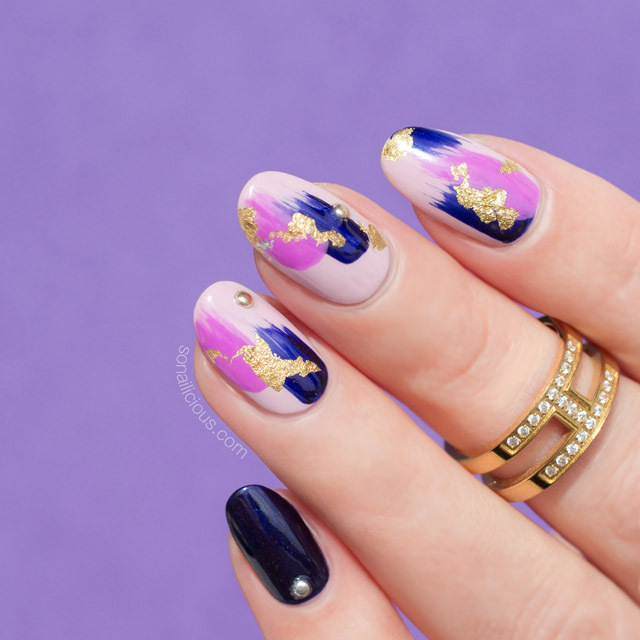 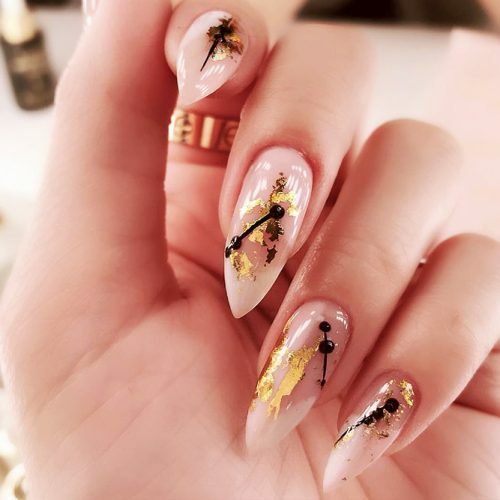 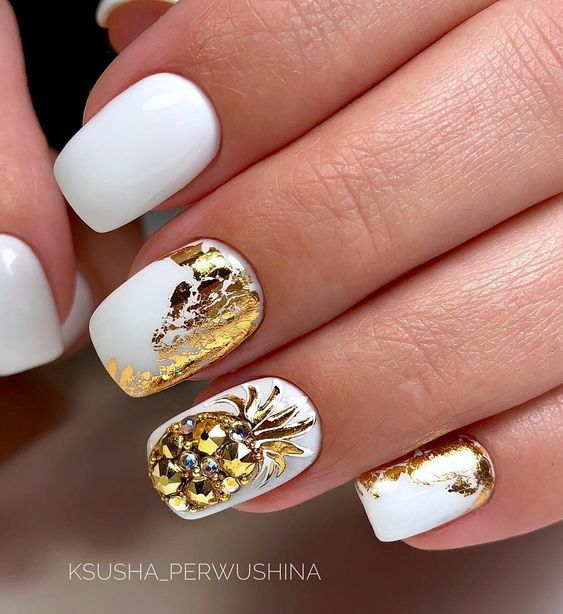 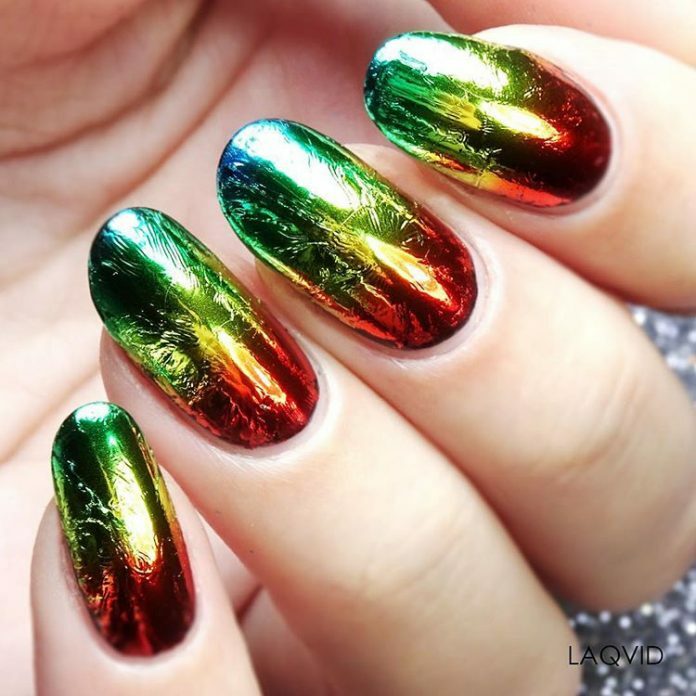 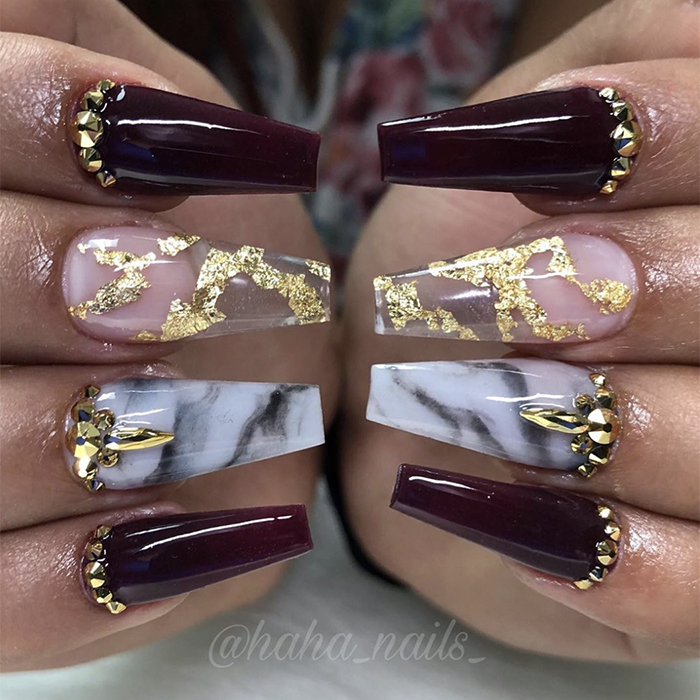 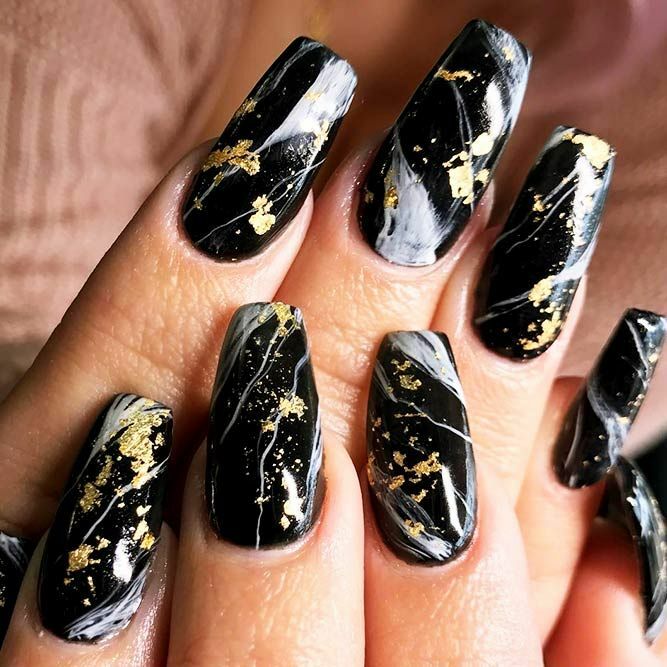 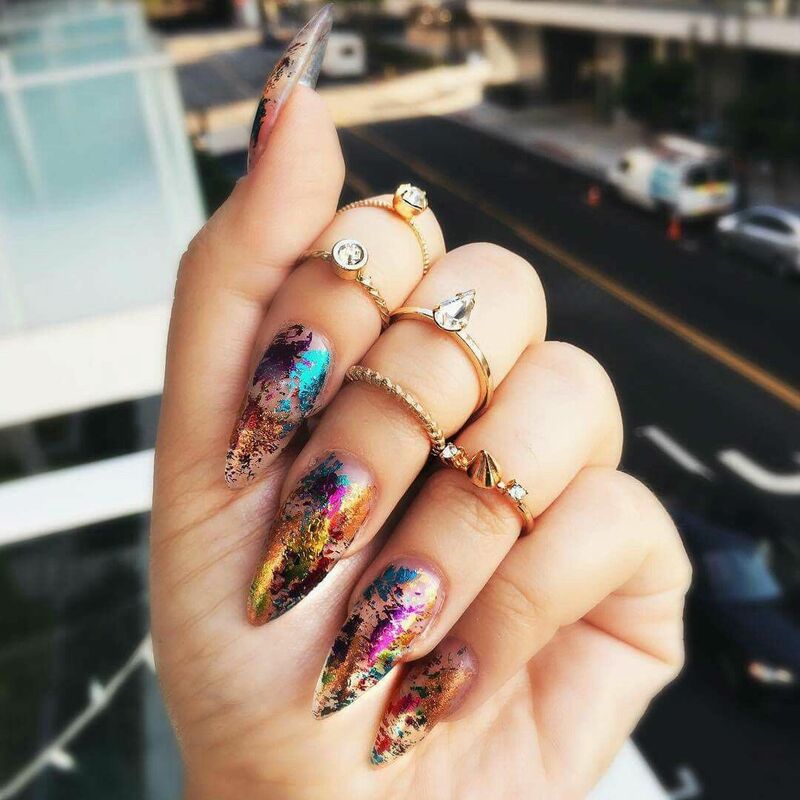 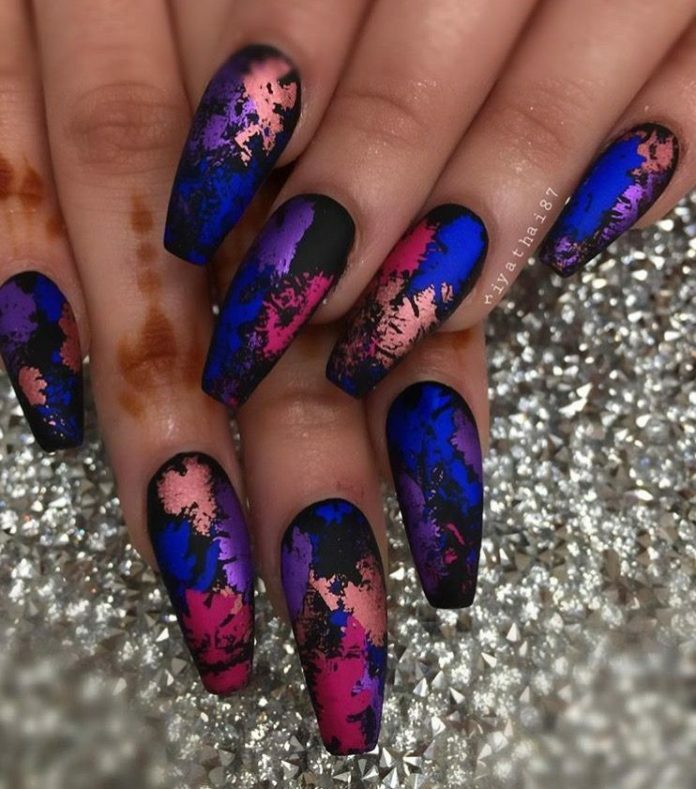 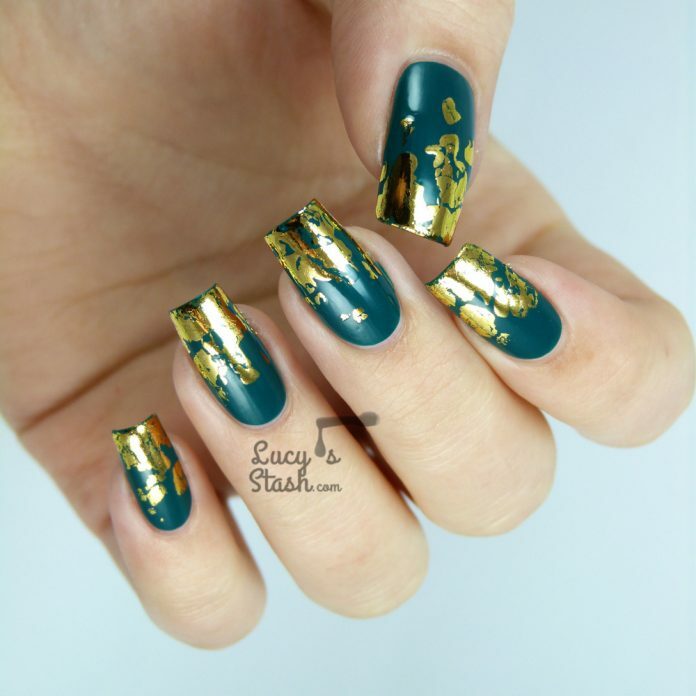 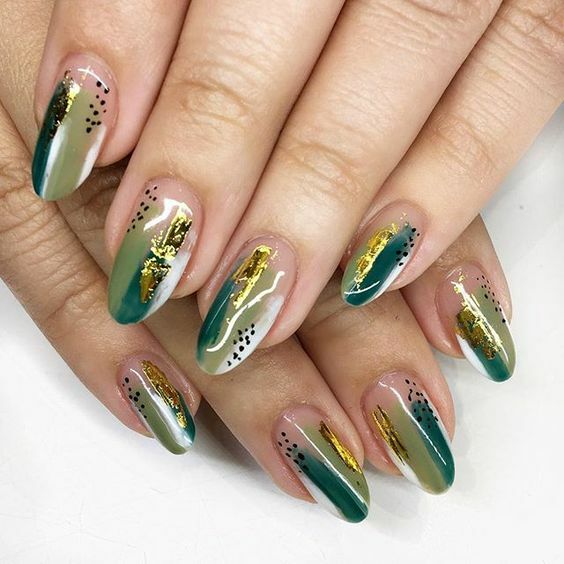 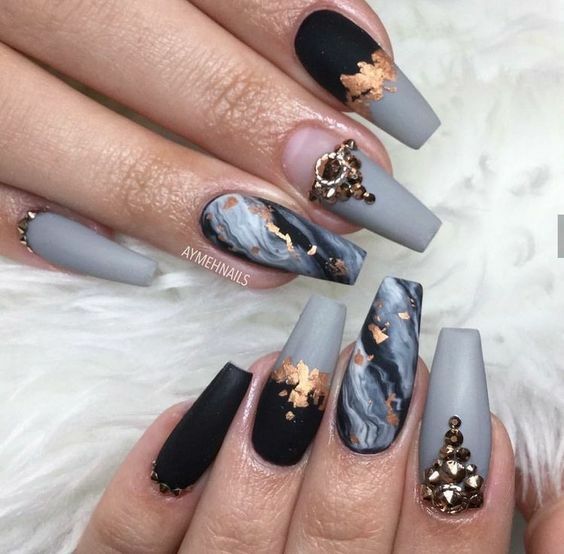 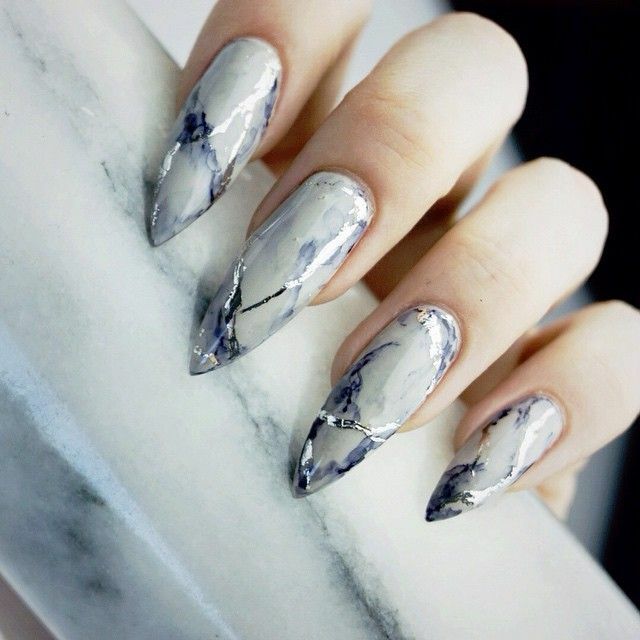 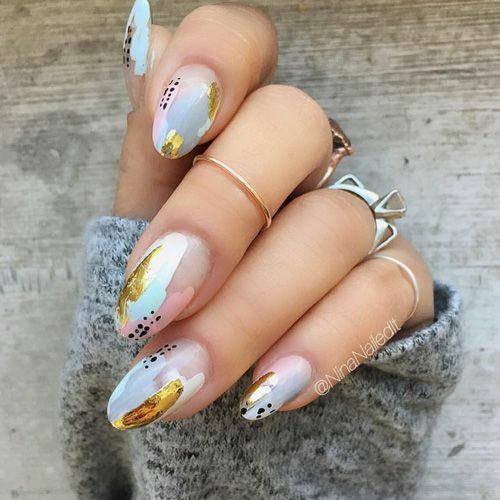 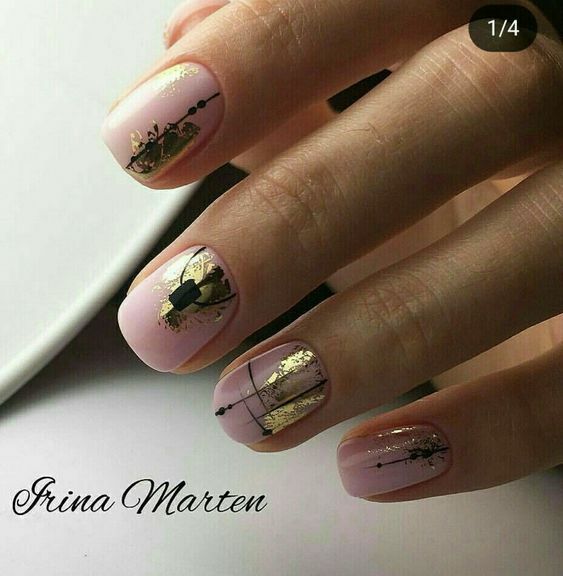 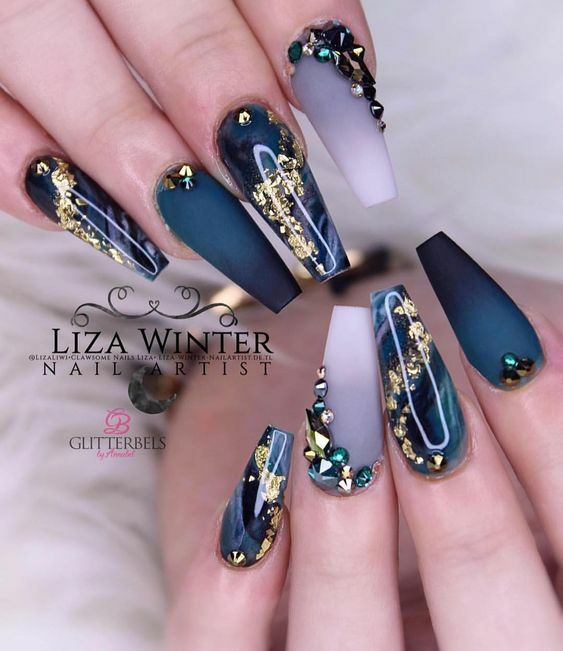 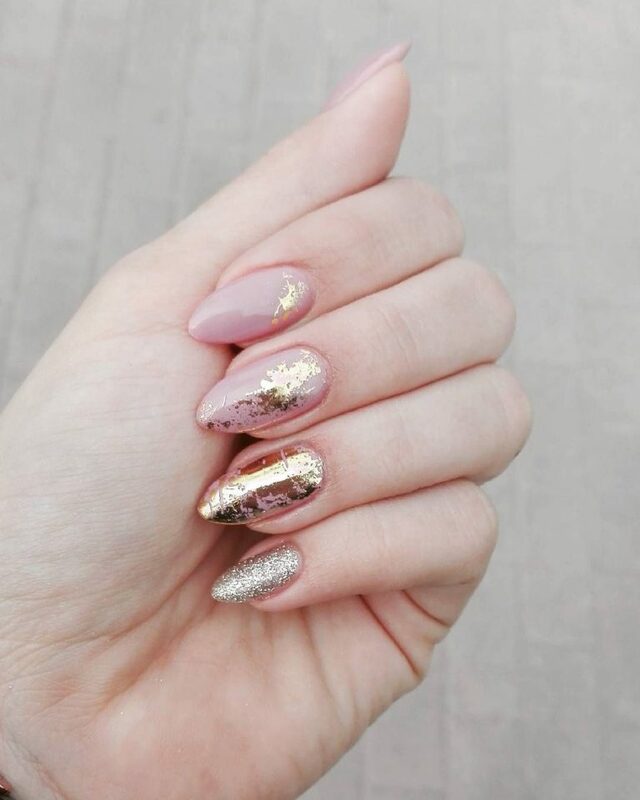 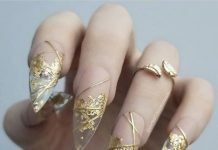 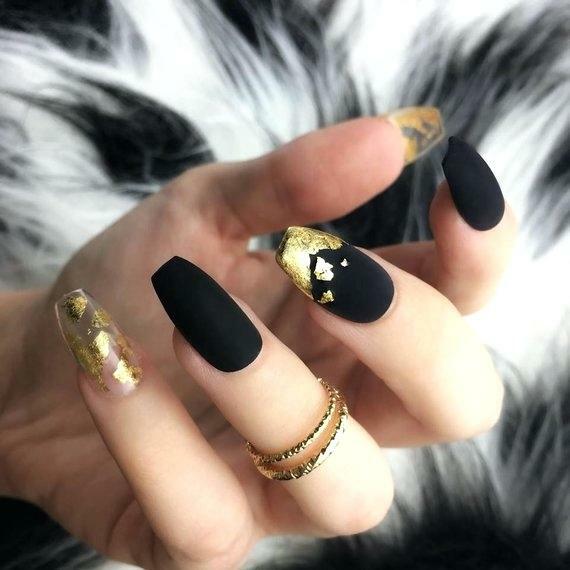 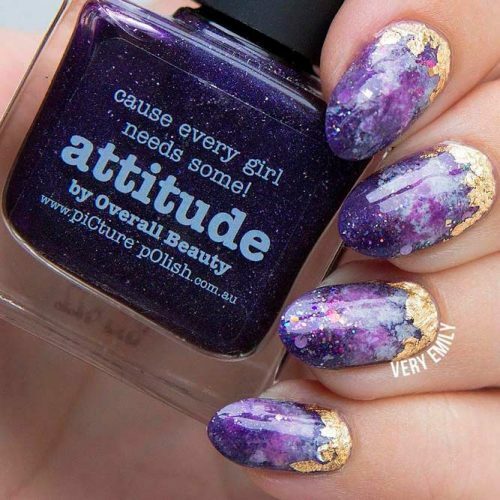 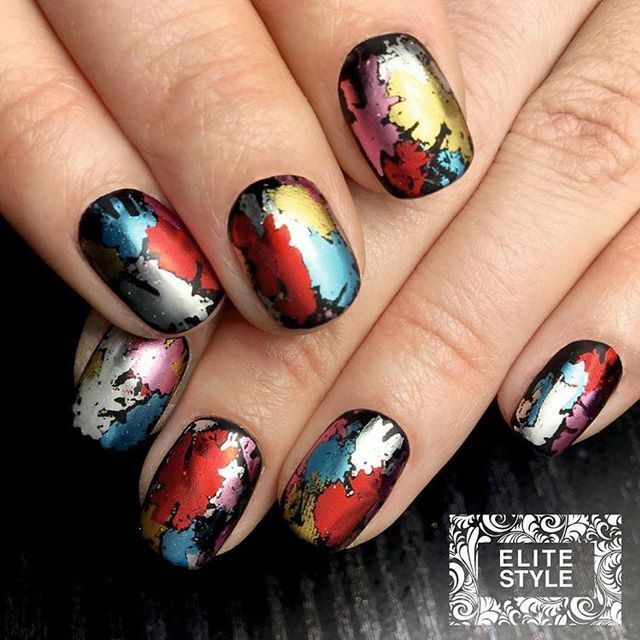 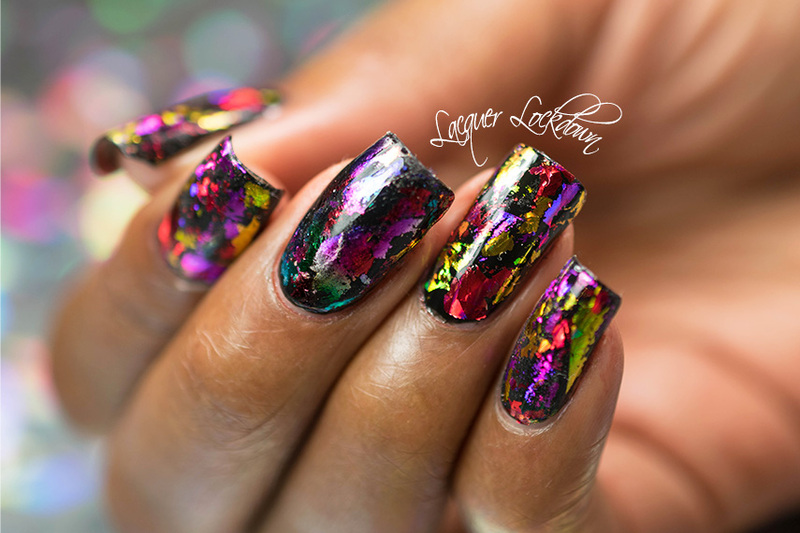 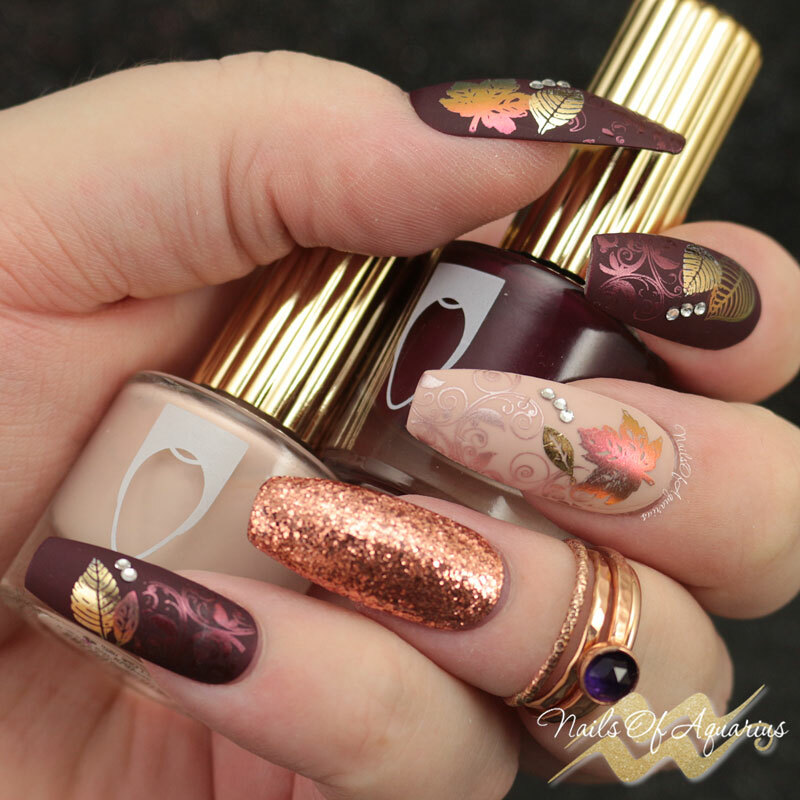 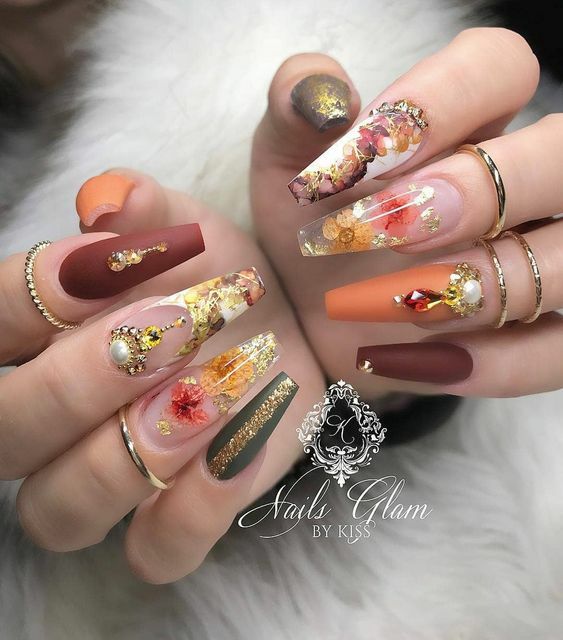 Check out some of the radical yet amazing foil accent nail art designs we scoured from various photo sharing sites and glam sites of nail art masters all around the world.